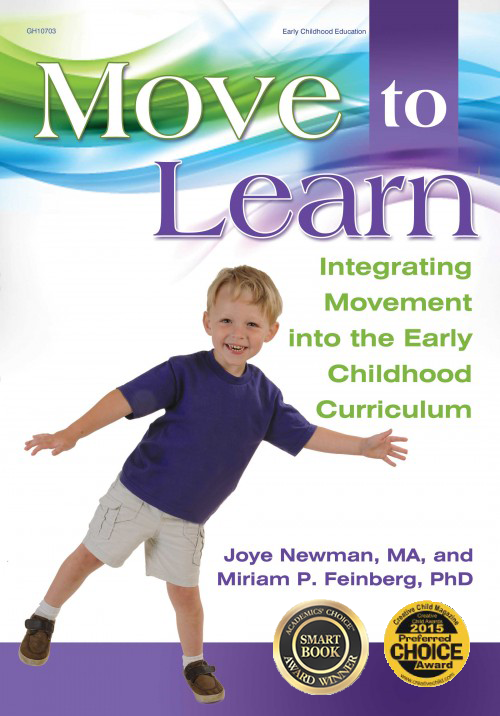 Joye Newman and Miriam P. Feinberg’s new book that offers ways to get young children moving in six curriculum areas. Winner of Creative Child Magazine’s 2015 Preferred Choice Award! When we imagine happy young children, we picture exuberant and unbridled movement. Movement is not only natural, but it is necessary for optimal physical, cognitive, emotional, and social development. To help early childhood educators incorporate movement into teaching, Gryphon House Inc., a leading publisher of early childhood resources, announces Move to Learn: Integrating Movement into the Early Childhood Curriculum. Co-authored by Joye Newman, MA, and Miriam P. Feinberg, PhD, Move to Learn helps educators easily turn their classrooms into environments that encourage movement activities throughout the early childhood curricula, including: Language and Literacy, Mathematics, Science, Social Studies, Creative Representation, Social Skills. — Barbara Leyne, Grade 1 Teacher and blogger at Grade ONEderful. Buy the book now at the Teaching for Change Bookstore.